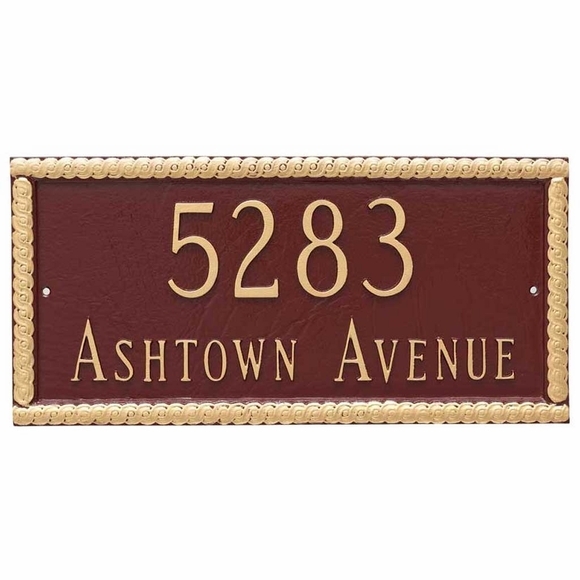 Personalized State Street 2 Line Home Address Plaque - - Rectangle sign holds up to five 3" numbers on Line 1 and 17 characters on Line 2. Made in the USA. This handsome address sign takes on a particularly formal vibe in the silver-on-brick red color scheme shown above.